Under the Corporate Citizen Foundation, firms including HSL, Thomson Medical, Golden Season, ST Aerospace and MediaCorp will pool resources to help disaster-hit areas. 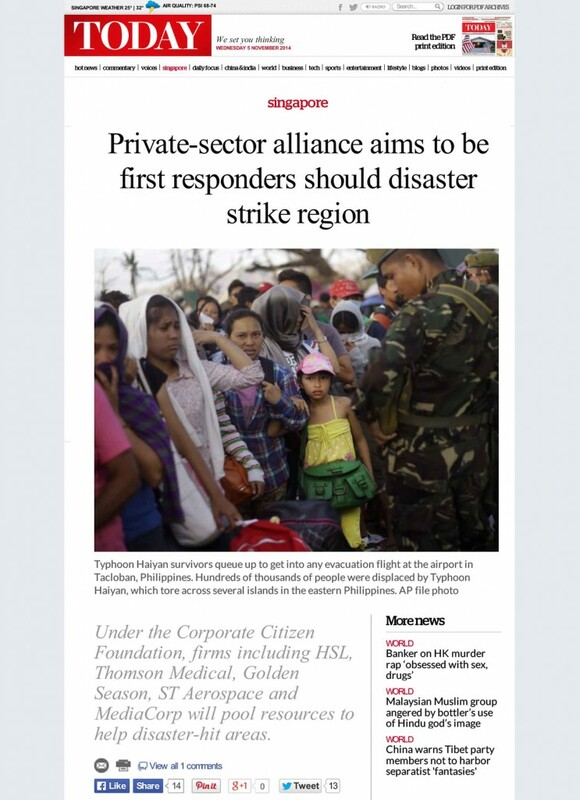 SINGAPORE — A coalition of private-sector firms — comprising aircraft, healthcare, water purification, civil engineering and media assets — will be able to respond immediately to help victims in neighbouring countries in the event of a regional disaster, in the form of the Corporate Citizen Foundation (CCF). 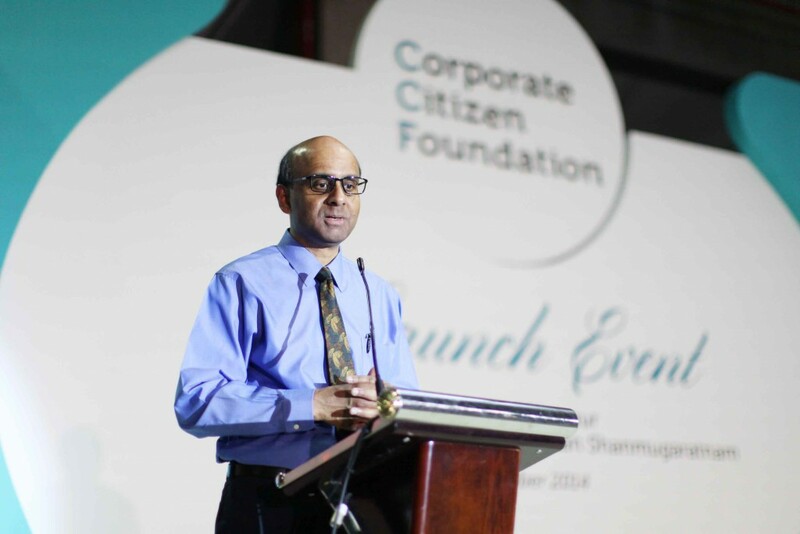 One of the functions of the foundation, launched yesterday (Oct 31) by Singapore Deputy Prime Minister and Finance Minister Tharman Shanmugaratnam, will be to respond more swiftly to regional crises through its Swift Emergency Evaluation Deployment (SEED) platform— a new private-sector driven initiative which is understood to be the first of its kind in the region. The CCF noted that 70 per cent of the world’s natural disasters occur in Asia, including the 2004 tsunami, Cyclone Nargis in Myanmar in 2008, and Typhoon Haiyan hitting the Philippines last year. Under SEED, a few private firms will pool together their resources and assets to help out while a crisis unfolds. 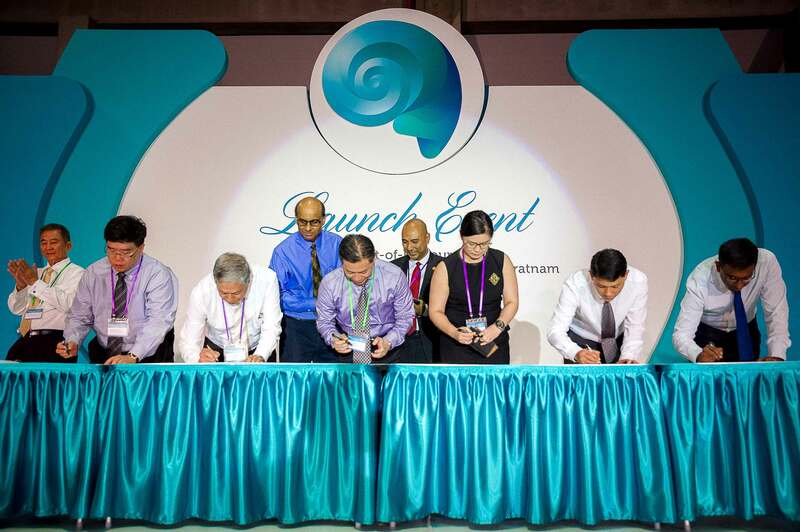 The idea was mooted early this year by engineering firm HSL Constructor, which as the initiator of the CCF has also put in seed founding of S$1 million. The aim of SEED is not to provide relief items such as food or shelter. Instead, it wants to be the first to reach disaster zones — to gather data. In the event of a disaster in the region, the CCF will be alerted, while its SEED members will be put on standby. The foundation will then get in touch with the ASEAN Coordinating Centre for Humanitarian Assistance on disaster management (AHA), as well as the country’s coordinating agencies. After getting air traffic clearance to fly in to ground zero, the team of doctors, water purification equipment, civil engineers and reporters will fly in via private jets.